Synopsis: When classified government documents concerning the Vietnam War end up in the hands of journalists for The Washington Post, they must decide whether to risk their careers and the paper’s legacy and publish these documents, whilst risking the wrath of the United States Government. 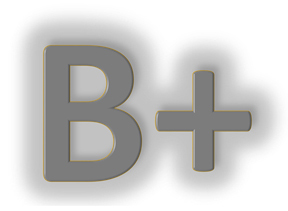 Review: There is something to be admired about those people who go above and beyond to try and report the facts in this crazy world we live in, especially at a time when journalists in this day and age find themselves under intense scrutiny. As so many people, especially certain world leaders, just dismiss stories about them that paint them in a negative light. Yet, the work these people do plays such a vital role in our society, and that cannot be ignored, especially when the work of journalists . Indeed, the work of journalists has helped to break some pretty major stories like the enormous scandal that engulfed the Catholic Church, making films such as this and 2015’s Spotlight feel extremely relevant in today’s society. When some government secrets that reveal some shocking truths concerning the US Government and the Vietnam War fall into the hands of The New York Times, the US Government forbids them from running any further stories. When the same documents fall into the hands of The Washington Post, the editor Ben Bradlee debates with the paper’s first female owner Katharine Graham as to whether these documents should be published. In much the same way that Spotlight was a very dialogue driven film, The Post follows in that manner. Therefore the screenplay has to be of a very high calibre, and that quality is ably provided by Spotlight’s scribe Josh Singer as well as Liz Hannah, marking her first foray into screenplay writing. Though the first half of the film delves into newspapers and business, it does mean that unless you’re extremely well versed in the worlds of newspapers, business, stocks and shares, then this could feel a little bit over-whelming. However, once we get to the small matter of whether the story should become front page news, is where it becomes very intriguing to watch. Under the guidance of such a masterful director like Spielberg, the performances of everyone really shine. Yet in news that should not be surprising to anyone, the limelight belongs to Meryl Streep and Tom Hanks (more the former than the latter though). It is fascinating two of the biggest actors in the business, who had never worked together prior to this film, engage in some deep discussions about whether or not the decision is made to go to print. With this role banking her a 21st Oscar nomination, it’s little wonder that Streep is regarded as one of the finest women to ever grace the big screen, as no matter what the role is, she never fails to impress. 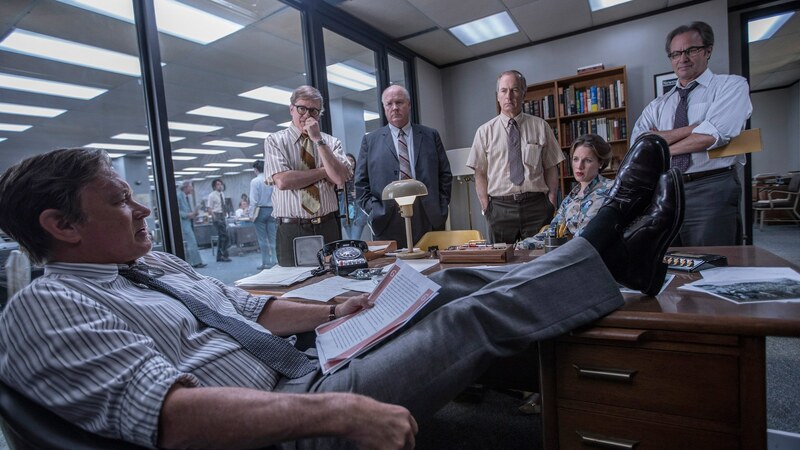 Much like Streep, Hanks almost always impresses and as Ben Bradlee, the man who helped break the infamous Watergate scandal, he’s a man who is absolutely committed to telling the public what he feels they have the right to know. Though the script doesn’t fully portray the important role that The New York Times played in the leaking of the documents, it does remind everyone that at such times when the press is under such fierce criticism, that this industry and indeed these people serve a role that needs to be respected. Otherwise politicians would try to to sweep certain things under the rug. Though the film doesn’t carry the emotional sucker punch like Spotlight did, the key message about journalism integrity and the commitment to the truth retains its indispensable value to our society and our democracy. 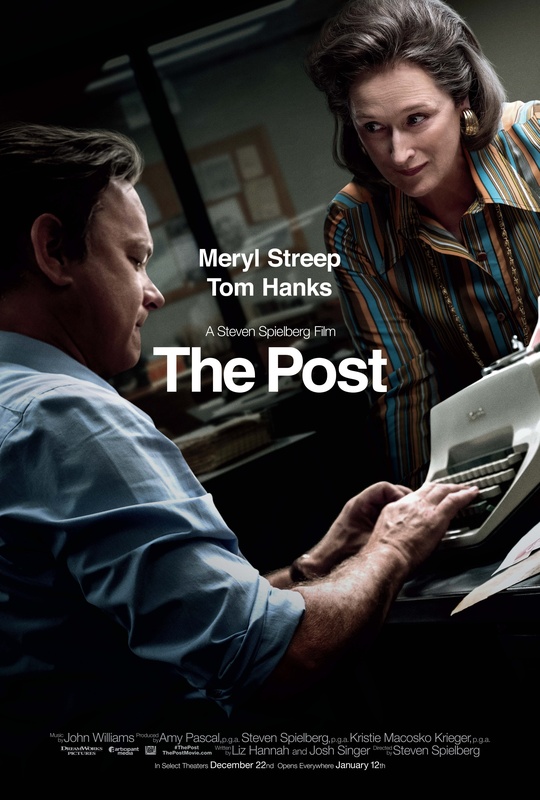 Assured direction from Spielberg, and strong performances from Streep and Hanks ensure this trio of extraordinary talents provide a timely reminder of the power of the press and the fundamental aspects of a democracy.